FRESNO, Calif. — When Jerry Gomez-Delgado thinks back to his first year at California State University, Fresno, he remembers how close he was to dropping out and going to work on a dairy farm with his father. Some days it seemed like the only thing that kept him from quitting was a free peanut butter-and-jelly sandwich. Gomez-Delgado recalls how help from the university’s College Assistance Migrant Program (CAMP) allowed him to survive. The federal program, created in 1972 to help children of agricultural workers succeed once they get to college, held workshops on how to cook and counseled Gomez-Delgado on how to pick a roommate, how to interact with his professors and how to apply for a desperately needed part-time job. But most of all, he remembers the free sandwiches. Gomez-Delgado lived off-campus without a meal plan because it was cheaper than paying Fresno State’s roughly $7,000 a year for room and board, which his student loans didn’t cover. His parents supported the family on a total annual income of $45,000, so couldn’t help. Every weekday morning the CAMP office opened at 8 a.m. and handed out sandwiches (and advice) to its students, so Gomez-Delgado made it part of his daily routine. It was all he ate until the afternoon when he would try to stretch $3 as far as he could at a fast-food restaurant. “That little piece of sandwich was a life-saving moment for me,” he said. 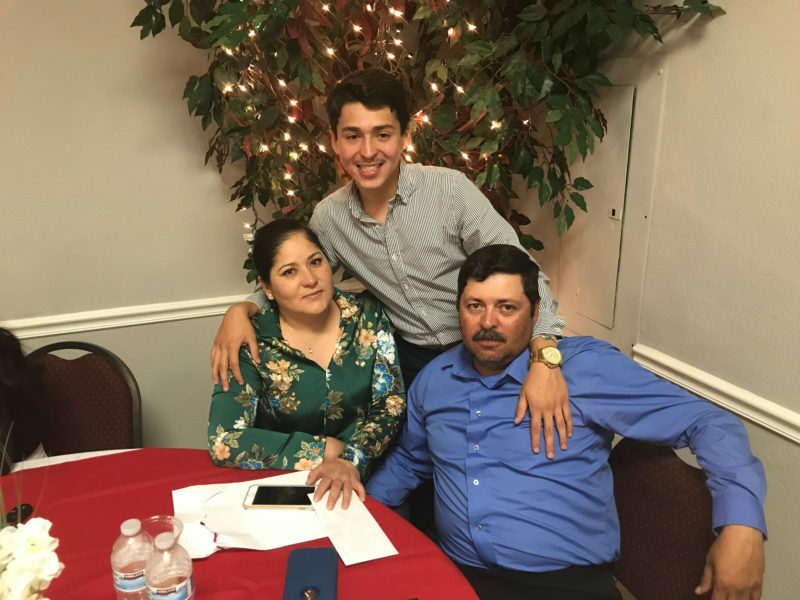 By persisting through his first year and later thriving, Gomez-Delgado’s success has had a ripple effect on his family. 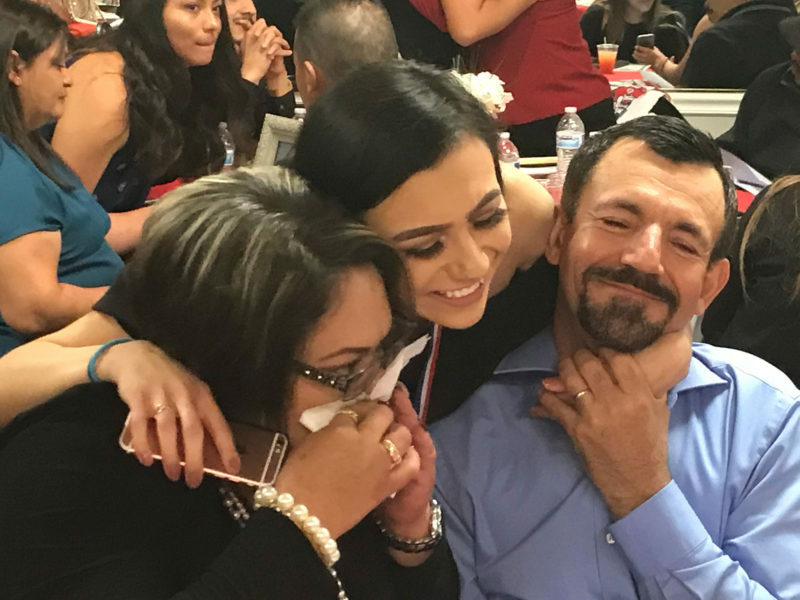 He was the first to attend college, and inspired his sister Fabiola to leave home to enter Fresno’s program in 2015. When Jerry earned a degree in 2017, his graduation ceremony swayed his youngest sister, Julia, to follow in his footsteps, too. Handing out sandwiches, offering regular counseling and teaching students the basic skills they need to thrive in college are only a few of the just-in-time supports offered by CAMP. 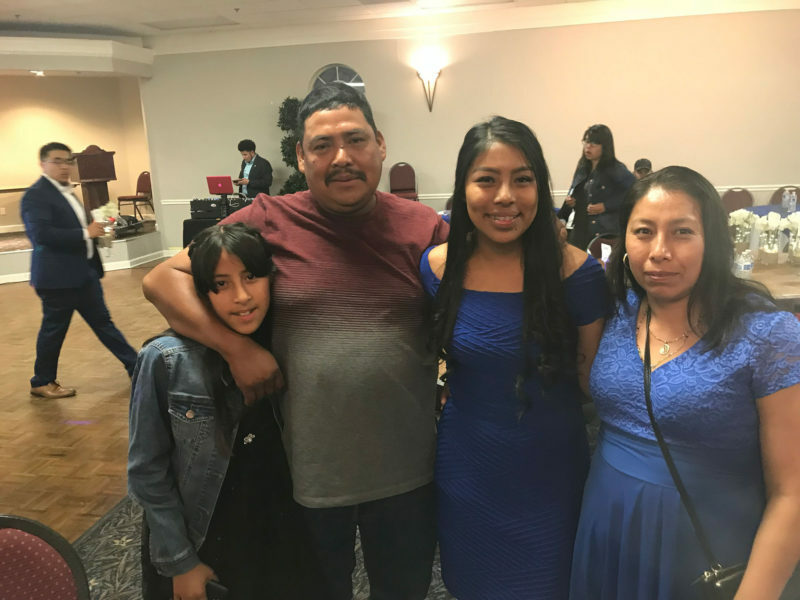 Over the years, the program has created a model that has helped children of migrant farmworkers, a majority of whom are from impoverished families and the first generation to go to college, beat daunting odds. The strategies tested in this small but long-running federal program could show the way as more colleges and universities try to increase graduation rates for the nation’s first-generation students. With one of every three higher education students the first in their family to attend college, the issue of how to support this group is pressing campuses across the country, says Matt Rubinoff, the chief strategy officer for Strive for College, a nonprofit that offers online mentoring to help high schoolers navigate the higher education application process. “There’s been a lot more attention to these students. First-gen is a big buzzword. It’s probably more the exception than the rule to find a campus that doesn’t have some sort of student support service,” he says. Nationwide, about one in 10 first-generation students from a low-income family earned a degree within six years (in 2003, the most recent year for which numbers are available). But among students in Fresno’s migrant program, one of the oldest in the country and one of the most successful, 64 percent graduate in that time frame, outperforming the university’s other first-generation students who graduate at 56 percent, according to university administrators. Typical first-generation students can face multiple obstacles when they reach higher education. A 2018 report from the National Center for Education Statistics outlines many of them, including lower expectations from family and educators; less than the required number of high school core curriculum classes; an application and financial aid system that can be bewildering to navigate without the help of parents who’ve done it before; and expenses, from tuition to books to food and housing. For children of migrant farmworkers, these challenges are manifold. They face “every single barrier,” says Viridiana Diaz, the president of the National High School Equivalency Program/CAMP Association. The median annual wage for agricultural workers in 2017 was $23,730 and the average farmworker may not have finished middle school, much less college. (Migrant workers in 2013-14 had, on average, an eighth-grade education.) Students’ parents may not speak English and the students themselves may still be learning it. In addition, the pressure of leaving a close-knit family in which children are often relied on to pitch in can be hard. “They feel guilty to be studying for a final when their family is out in the field working in 104-degree heat,” says Diaz. 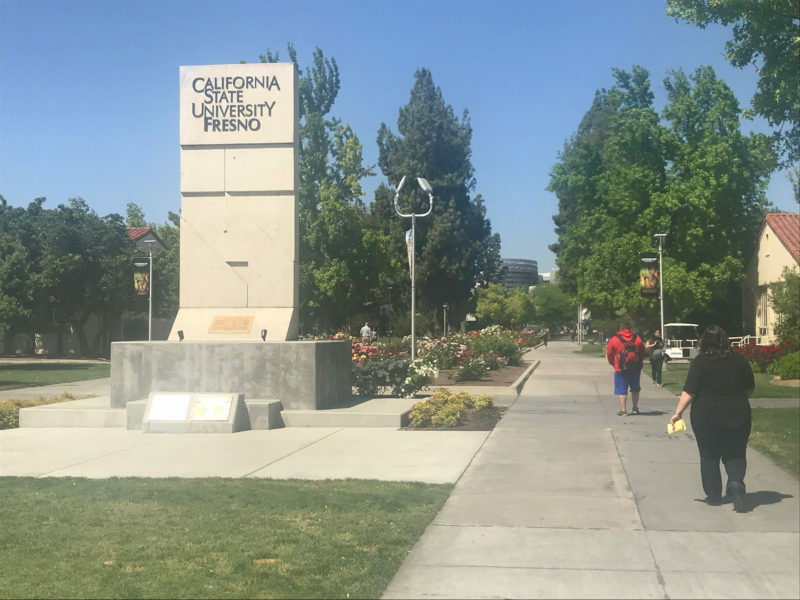 64 percent of the children of migrant farmworkers at Cal State Fresno graduate in six years, compared to one in 10 first-generation students from low-income families nationally. The difficult jobs they’ve seen their parents do can also be highly motivating, says Jerry Gomez-Delgado. In high school, he remembers working 12-hour days in 110-degree heat at Triple V Dairy, where his father oversees the medical care for 5,000 cows. His mother works at the Del Monte production facility in Hanford where workers can 360,000 tons of tomatoes in a typical 80-day season. Jerry’s sister Fabiola says money concerns were always on her mind. “We try to focus on school, but we worry about finances,” she says. Their parents pay for cellphones and car insurance and send them back to school each weekend with Tupperware containers full of food, Fabiola says. But all three of the children work part-time jobs during the school year to help cover food and lodging costs. Fresno’s CAMP model is built on four tenets: Freshmen meet regularly with counselors; they take a three-credit class taught by the program’s academic advisor, Brenda Garcia, that introduces them to possible careers; they complete a mandatory, supervised three hours of study weekly in which they can learn both effective study habits and tips to avoid procrastination; and they can earn $100 stipends three times a semester. Nationally, other CAMP programs follow this same outline but the specifics at each campus may vary. Because the Fresno program is small — there were 62 freshmen in this year’s group, according to CAMP staffers—officials are able to check in on students frequently and foster a tightly knit family atmosphere. The university’s CAMP director, Ofelia Gamez, also piles on other services, ranging from a clothing closet stocked with donated suits, ties, dresses and shoes that students can use when they have job or internship interviews to free printing that entices students to stop by the office and get some informal counseling (and a snack) while they print out their class assignments. A university-wide food pantry offers students a free bag of food every day. The program even offers students free eye exams and discounted glasses if needed. To address the reality that more than one in four first-generation students drops out of college before his or her second year, the CAMP program focuses squarely on freshmen. The goal is for each student to complete their first year with 24 credits and a GPA of 2.0 or better and to re-enroll for their second year. Nationally, in 2016, 88 percent of CAMP students met the first goal, and of those students, nearly 100 percent were enrolled the next year. 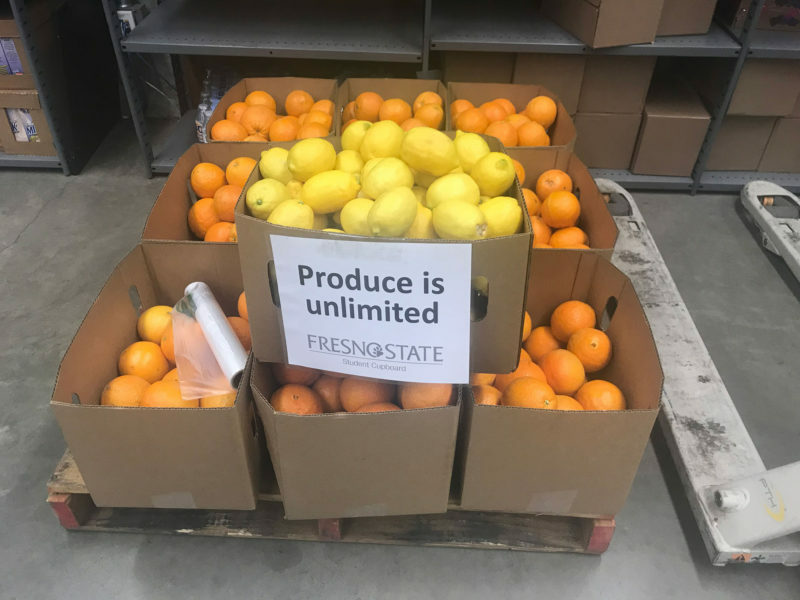 At Fresno, according to university officials. 58 of 62 students completed their first year in good standing, and of those 58, all but three returned for their second year. Students are eligible for CAMP if they are U.S. citizens or permanent residents and if they or a parent have been employed in seasonal or migrant farmwork for at least 75 days in the last 24 months. While the program runs in 15 states and Puerto Rico, California has nine CAMP programs, the most of any state. In 1995, President Clinton recommended ending the program in his budget proposal before advocates convinced Congress to keep CAMP. The lack of a cheerleader in D.C. has hurt the program long-term, says Maureen Hoyler, president of the Council for Opportunity in Education, a nationwide nonprofit that works to increase higher education opportunities for low-income, first-generation students. “Programs have to be really strong programs and have someone to really fight for them. CAMP hasn’t had that person,” she says. Given CAMP’s solid results but small footprint — 2,400 students fill the 53 programs nationwide — it’s logical to wonder whether the secret to first-generation success is being overlooked. Experts are split on whether expanding the program’s model would lead to greater success for all first-gen students. Maxine McDonald, the recently retired associate vice president of student success services who oversaw the migrant program from 2015 to 2018, praises its “highly intrusive” nurturing and guidance, but adds that its expense would make it difficult to ramp up for a larger number of students. The bulk of Fresno’s $425,000 annual CAMP budget pays the four full-time staff (all of whom are CAMP graduates, including Gamez). Part of it goes toward the small stipends that students get throughout the year. The money isn’t considered financial aid, so students are free to spend it however they wish, Gamez says. Talking to a range of students during several days on campus, it was apparent that not every student in the program is confident they’ll make it. Arnaldo Gonzalez’s father is a supervisor for a farm that grows Halo oranges, and Arnaldo has picked table grapes since his freshman year of high school in McFarland. The first-born says he holds “ag near and dear to my heart,” and he returns 80 miles to his family every weekend. “I have confusing feelings,” the 19-year-old freshman admits while studying outside CAMP’s offices. “The scariest thing in the world would be to disappoint them,” he adds, referencing his parents. Upperclassmen often say they appreciate the help they received much more the further they are from their hectic first year. His sister Fabiola says the staff “pushed” her to pick a major in her sophomore year. The pressure now has her on track to graduate within four years after which she hopes to join her brother in graduate school. Because both are so thankful for the help they received to get to college and thrive once there, the siblings are hoping to become high school counselors when they graduate. This story about the CAMP program was produced by The Hechinger Report, a nonprofit, independent news organization focused on inequality and innovation in education. Sign up for the Hechinger newsletter.